LAS VEGAS – Home Goods Online and the organisers of the Las Vegas Market (LVM) are giving away a four-night trip for two to the Summer 2016 edition of the market which will be held here from 31 July to 04 August. To be eligible, the entrant must be an independent furniture retailer who hasn’t attended the Las Vegas Market since the summer of 2012. During your trip, you will be able to shop the most comprehensive home furnishings market in the Western United States while enjoying first-class entertainment, dining, shopping, golf and more in more of the world’s most exciting cities. 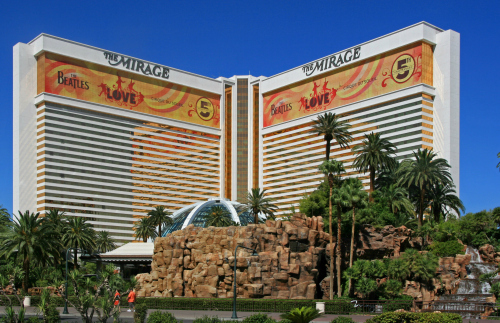 The winner will receive round-trip airfare for two and a four night stay at the Mirage – one of the best known resorts and casinos in Las Vegas. Launched in Summer 2005, the Las Vegas Market has grown to become the largest furniture, home décor and gift market in the Western United States, hosting some 3,000-plus exhibitors at its biannual event. It has also established itself as the most important trade happening for the mattress industry. There are also about 50 Canadian resources showing at each edition of the Las Vegas Market. Among the better known are: C.R. Plastic Products; Canadel Furniture; CDI International; Chairtech Modern Furniture; Decor-Rest Furniture; Magnussen Home; Palliser Furniture; Primo International; Stylus, Made to Order Sofas; Van Gogh Designs; and, Zedbed International. The winner will be interviewed by Home Goods Online about his or her experiences at the Las Vegas Market for publication on our web site in late August. Entries will be accepted until 5pm Eastern time on Friday, 08 July 2016. The winner will be notified shortly thereafter and announced on Home Goods Online on or before Tuesday, 19 July 2016.